Managing money is hard. As simple as it seems to tell yourself to only spend the bare minimum each month, if you don't keep track of what you're spending your money can really get away from you. I know I've had days where I look at my bank account total and think, "where the hell did all my money go?" I know I hate the feeling of not having control over my finances, and I'm assuming I'm not the only one. So, I'm sharing my budget planning system with you all! 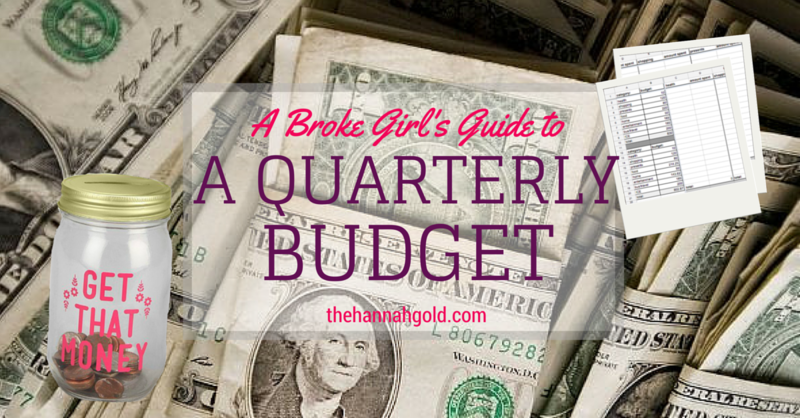 I've been budgeting my money since I was 13 and got quite a bit of money for my Bat Mitzvah. My parents were always really big on teaching fiscal management (my favorite childhood game was Cashflow, which was basically a board game with the stock market and financial investments). As an adult looking back on it, I see now that that was not a typical childhood experience. It was, however, a part of my life that taught me lessons to manage my money in ways that I still very much use today. Over the years I've developed a system for budgeting my money with the help of my dad. It's based on the quarter system, as my school is, and I revise the budget every three months accordingly. 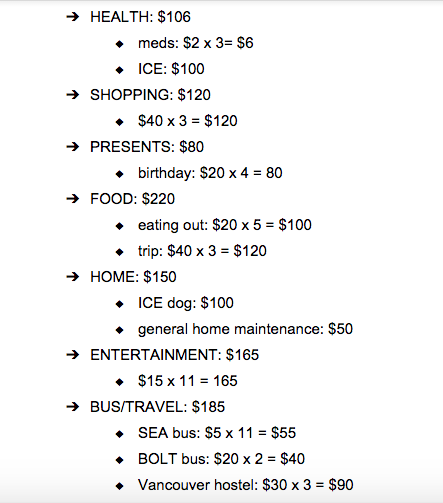 Below is an example of a budget based on my system. I've never actually demonstrated my system, so stay with me if it gets confusing and feel free to comment below with any questions or clarifications! The first step in creating your own budget is identifying what you consistently spend money on. Groceries, the bus, prescription medication, birthday presents, eating out, concerts, trips, cleaning supplies, and shopping are the main things I spend money on each quarter. You might spend money similarly, or you might add or discard a couple things to your list. Just remember: if you spend money on it, add it to the list! Once you know what you spend money on regularly, establish as many categories as necessary to include all expenses while still condensing the list. I, for instance, have 8 categories: health, shopping, presents, food, home, entertainment, bus/travel, and in case of emergency. I'm still always redesigning how I categorize my spending. This quarter I added the in case of emergency category after taking my dog to the vet last quarter and realizing I hadn't accounted for anything like that in my budget. Notice how I don't have living/tuition expenses listed in my budget: because my room is included in the school bill, I simply pay one fixed payment at the beginning of each quarter. Any extra money I have to spend in that area is portioned into the "home" category. One thing I found helpful when I first started this process was having a "miscellaneous" category, which has since been dissolved. Ok, now it's time to determine how much money you are going to let yourself spend on each category in the timespan of your budget. Before anything else, you'll want to establish how much money you can financially afford to spend in a year. See how much money you have in your bank account(s) and estimate how much money you will be making this year. I recommend setting some of your earnings aside and budgeting the rest, but I am not here to tell you how to live your life! Remember that list that you made at the very beginning of this process of your usual expenses? Now it's time to apply monetary value to each one! I've attached an example of how I usually complete this process. A few things to keep in mind when reading this list: there are three months in this example budget, with eleven total weeks. Anything that I have to purchase every month or every week is accounted for by multiplying the amount I spend each time by the number of times I will have to do it during this quarter. Medication, for example, is bought once a month. At a fixed price of $2, making this purchase three times a quarter means I will have to spend $6 on medication total this quarter. My advice would be to start by identifying the essential items on your list of expenses. Groceries, for example, should definitely be accounted for. 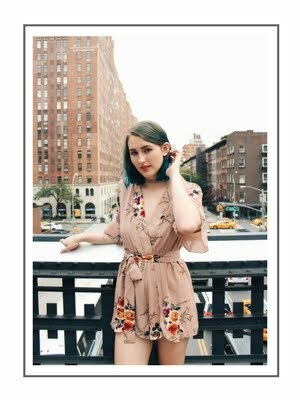 It isn't until you know how much money you will spend on the essentials this quarter that you will be able to determine how much you should be spending on, say, Starbucks this quarter. Then and only then should you start budgeting your less-essential expenses with the remainder of your total quarterly budget. Some expenses have a predetermined cost, whereas others do not. The medication from the example above is something that has a predetermined cost, whereas something like the entertainment budget has to be estimated. In the case of the entertainment budget, my reasoning for this estimation is simple: if I were to treat myself to a movie, which is typically a $15 experience, every week, I would be spending $165 over the course of 11 weeks. You can see a similar process in the estimations for my shopping, presents, eating out, and general home maintenance expenses. After years of using this budget system, I still mess around with these estimations, and so should you! Just because 20 year old you doesn't buy designer clothing doesn't mean 25 year old you will feel the same way and follow the same budget. After adding together your estimated expenses and deciding how much money total you'll spend this quarter, it's time to create a method of monitoring your spending. 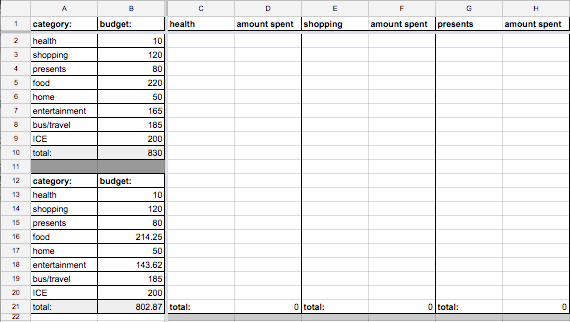 I personally use a Google Spreadsheet to keep track of what I spend and when, as you can see in the first example photo. It only takes basic Excel knowledge to be able to put this together, but I might eventually write a post about the logistics of setting it up. You could also use a written method or even a budgeting app to keep track of your spending in comparison to your budget. However you end up monitoring your spending, I'd advise you to keep a running total of how much you've spent in each category and how much you have left to spend in each category. Adding up your total expenses at the end of the quarter and comparing it to how much you'd budgeted yourself spending is something you should only ever do the first time you make a budget to learn the reality of your spending habits. After that, you should also monitor how much money you have left in your budget to spend in any given category to avoid overspending. To quote Melissa Levin: Wow, wow, wow! That was a lot of information. I sincerely hope I didn't leave anything essential out, and if I did, please comment below and let me know!